As I was reading the book I immediately fell in love with the characters. The storyline is well written, and the message is profound. My heart sank on every chapter and the ending is totally unexpected. Overall, The Blessing is one of the best feel-good story I have read in a long time. When I worked as a therapist, I dealt with many cases like the one depicted on this story. I know firsthand how difficult is to protect abused and neglected children. I believe this book can be a great tool in therapy since it deals with issues of trust, regret, guilt, forgiveness, and unconditional love. I give this book 4 stars out of five. An orphaned boy's story of loss, love, and eventual acceptance by the most unlikely people. Includes an introduction and reader's guide designed to identify and discuss the five elements of the biblical blessing that every person needs. 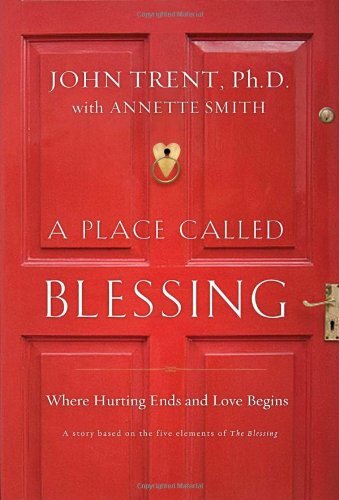 Readers are shown, through the power of Josh's story, how to give this gift to their children and others as outlined in the more than one million copy bestseller, The Blessing. 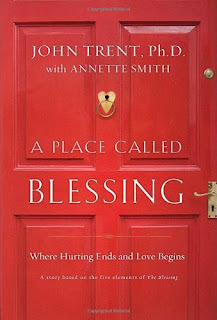 Dr. John Trent is president of StrongFamilies.com and founder of The Institute for the Blessing at Barclay College. John is a sought-after speaker and an award-winning author of more than twenty books, including six books for children. He has been a featured guest on numerous radio and television programs across the country and leads The Blessing Challenge, a joint partnership with Focus on the Family and StrongFamilies.com. John and his wife, Cindy, have been married for more than thirty years and have two grown daughters, Kari and Laura. Annette Smith is a novelist, nurse, and a master storyteller. Her first book of short stories, The Whispers of Angels, sold more than 100,000 copies. Annette has written four additional volumes of original short stories, two parenting books, and five novels, all set in small towns. Her fourth novel, A Bigger Life, was named by Library Journal as one of the best novels of 2007 and was a finalist in the American Christian Fiction Book Awards. A life-long Texan, Annette lives in Tyler, Texas with Randy, her husband of thirty-one years, and an affectionate, shaggy mutt named Wally. Annette has worked as a registered nurse in a variety of settings. Her current home-hospice position gives her a unique position in the lives of relative strangers, and she often finds herself bearing solitary witness to intimate, behind-the-scenes situations full of grace and meaning. --This text refers to the Audio CD edition.